Although the snow and wintry conditions put paid to Berkhamsted’s last home match of the year against Bucks Students’ Union on Monday, the Comrades hope the weather will have improved by 2pm on Saturday 2 January for their first game of the New Year away at Old Bradwell United. They hope to give a long delayed debut to recent signing from Pitstone & Ivinghoe, Lawrence Bunker, and gain revenge on the only visitors who have won a league game at Broadwater this season. The long break has improved manager Mick Vipond’s selection options as injuries are clearing up nicely. For those supporters travelling to support Berko, Old Bradwell’s Abbey Road Ground can be found with postcode MK13 9AR or on Google Maps here. Elsewhere on Saturday table toppers Aston Clinton host 10th place Bletchley Town. Wodson Park – who have the same amount of points as the Comrades but have played three more – travel to Buck Students’ Union, whilst fourth place Padbury head to Risborough Rangers. Berkhamsted’s reserves are in Herts Intermediate Cup action at 3pm at Vauxhall Road on Saturday when they play against Hemel Hempstead Town Reserves in a local derby. 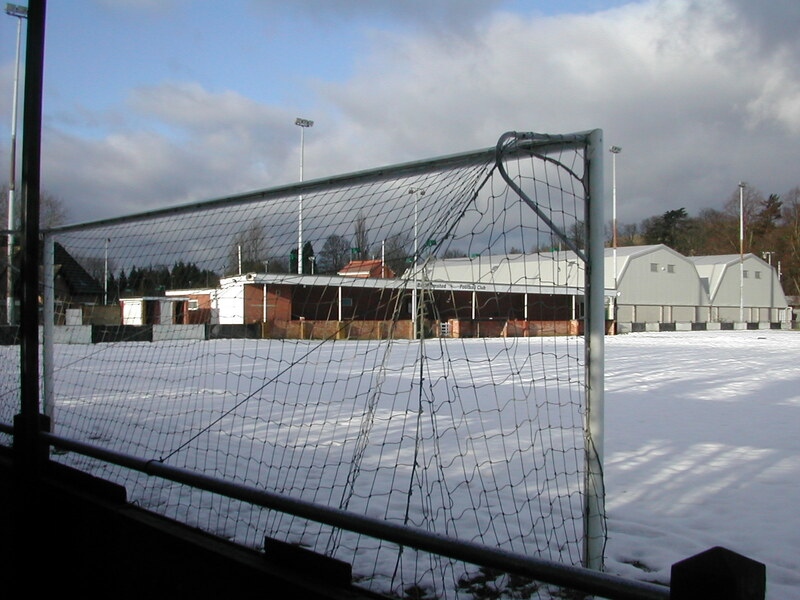 Berkhamsted’s match against Bucks Students’ Union on Monday 28th December has been called off because of the weather. With less than 24 hours remaining before kick off, a pitch inspection today confirmed there is no chance the playing surface will be ready for the game. Players will still meet at 1030am tomorrow for training. Details of the rearranged fixture will appear here soon. We hope everyone is having a great Christmas break. Produced by Mitoo and Goalrun, the site contains more information than its predecessor. Every club has its own page, which can be accessed either via the league table or by the club list for a particular division. The Comrades new page can be found here. You can see it is already being automatically updated with news from our site. Fans have already started registering and we hope to share video and photos from thecomrades.wordpress.com with the site soon. Why not show your support for the club by registering? Remember that thecomrades.wordpress.com will continue to provide your first port of call for news from Broadwater so keep checking back regularly to stay in touch. Berkhamsted will be at home to Bucks. Students Union in a league match at Broadwater on Monday 28th December with a noon kick off. A bumper crowd is expected for the team’s only game over the festive period and fans are asked to note the early kick off time, which might have the advantage of beating any frost. Hopefully Mick Vipond’s long injury list will have shortened by then. The Comrades hope to complete the first double of the season, having won convincingly at Amersham earlier in the season. It is a vital match and a win would steal a march on their title rivals as top of the table, Aston will be playing at third-placed Padbury United, so atleast one of them will drop points. Prolific scorer Lawrence Bunker is set for his debut after transferring from Pitstone and Ivinghoe to Berkhamsted. Both Berkhamsted’s game against Bletchley Town and the Reserves’ match versus Hemel Hempstead have been postponed. The Reserves’ fixture has been re-arranged for Saturday 2nd January in Hemel at 3pm. More news on the Bletchley game to follow, although the match is likely to take place some way into 2010. Berkhamsted’s home match against Bletchley Town on Saturday will depend on a morning pitch inspection. The decision will be posted here. The Reserves’ away game may also be called off owing to the snow. Check here for an update around Saturday lunchtime. Berko’s reserve side got back to winning ways 1-0 at Kent Athletic on Saturday, moving up to 7th spot in the league table, thanks to a second half goal from Darren Lewis. Skipper Raph Weedon moved from his usual outfield position to play in goal and managed to keep a clean sheet.